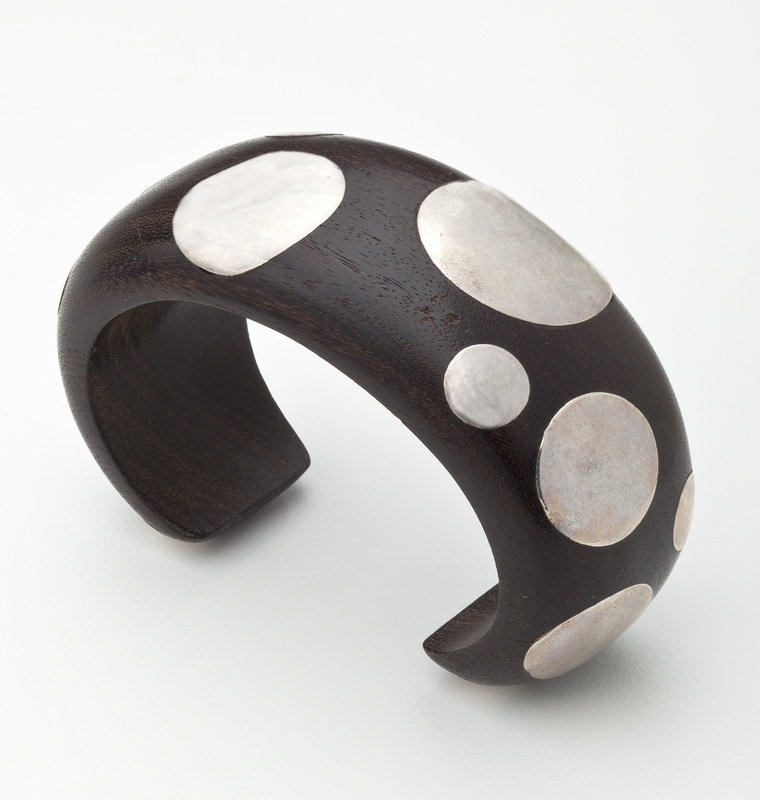 A cuff bracelet with a polka dot motif in ebony and sterling silver by William Spratling (1900-1967). A popular example of Spratling's work, the polka dot bracelet is hallmarked with an inserted disc with the conjoined WS mark designing the bracelet dates from 1962-64. The bracelet measures on the exterior, 7 1/2"; interior 5 1/8" with a 1 1/2" opening. It cannot be sized.